I visited ESP this week for a chat with the eponymous director Erin Stump. When the gallery opened in April 2011 at Queen and Dovercourt, it quickly became a recognized institution, consistently presenting interesting, timely and well curated shows. Stump's first booth at Art Toronto this past fall was among the few to be lauded by Jason Stopa in NY Art Magazine: "The most significant pieces were at ESP gallery, who had a thoughtful and serious display of abstraction. Erin Stump the gallery manager is young, ambitious and has her pulse on a NY aesthetic." Erin is a BFA graduate from NASCAD and I wondered if she ever regretted turning her back on her own practice. It seems that she knew even before the program was complete that she is "more excited about other people's work than my own." 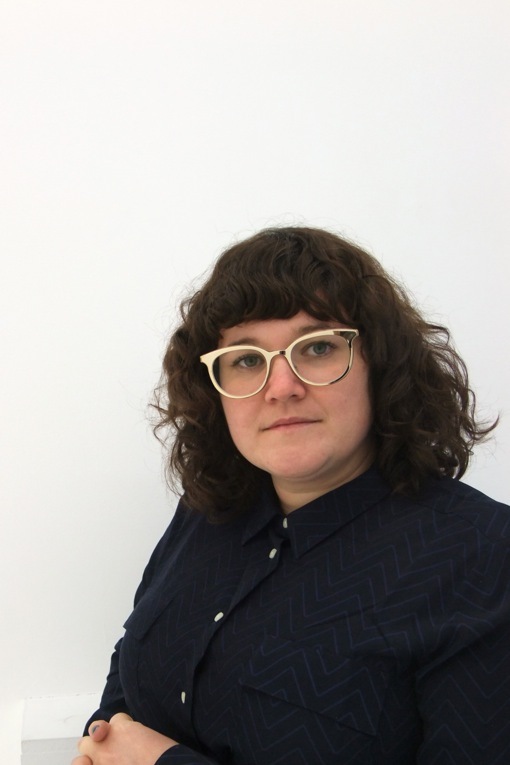 In providing promotion and support, Erin allows the artists to focus more on their work, at the same time being involved in the genesis, development and realization of an exhibition, navigating with each artist how much assistance they require. Choosing her roster from artists she worked with alongside Katharine Mulherin in their project space Board of Directors, she also selected people that she has been following for years through group shows, studio visits, and word of mouth. The predominance of women is not intentional, but rather a token of the fact that "there are so few female artists represented." That other institutions have failed to snap up talented emerging and mid-career artists because of their gender is a quandary that we expounded on at length. I'll leave the conclusions to the academics: Why are there so few? J, Piirto, 2000. Berlin-based Canadian artist Emmy Skensved is currently on view at ESP. Her spare paint collages bring to mind the sentiment of Hermes Trismegistus's words "As above, so below;" the black and white planes float unfastened, leaving you unsure which is foremost. The paint strokes have been remade into digital images, and remade again into painstaking and precise collages. With the material creating the subject matter you find yourself in an infinite loop of process and product. I certainly didn't gain all these insights on first glance. Stump is an excellent guide in the sometimes confusing landscape of abstract and contemporary artwork. With these skills she takes advantage of the storefront nature of her gallery and its ability to attract a walk-by crowd, bringing understanding and enthusiasm to people who otherwise may not have given the work a second glance. It is this unexpected education that could in time create new collectors or at least new fans of contemporary art.